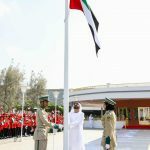 His Highness Sheikh Mohammed bin Rashid Al Maktoum, today kicked off Flag Day celebrations by hoisting the UAE flag at the Union House … reports Asian Lite News. 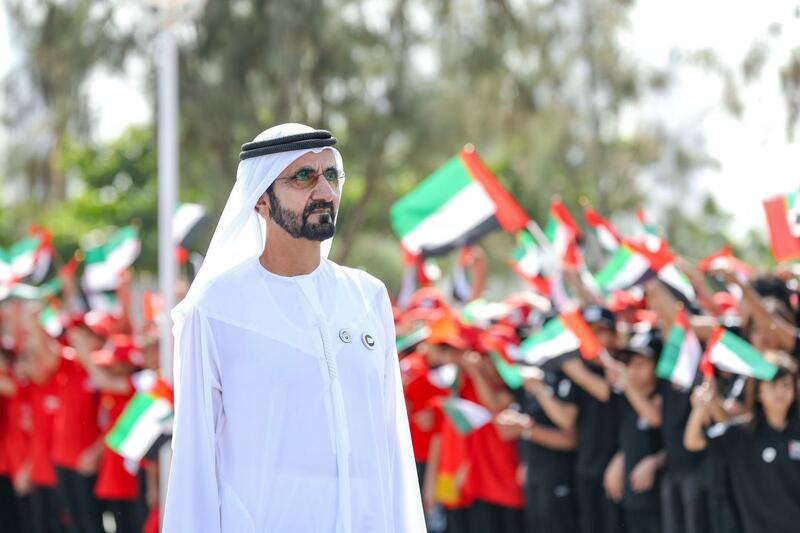 His Highness Sheikh Mohammed bin Rashid Al Maktoum, the Vice President, Prime Minister and Ruler of Dubai, today kicked off Flag Day celebrations by hoisting the UAE flag at the Union House. H.H. 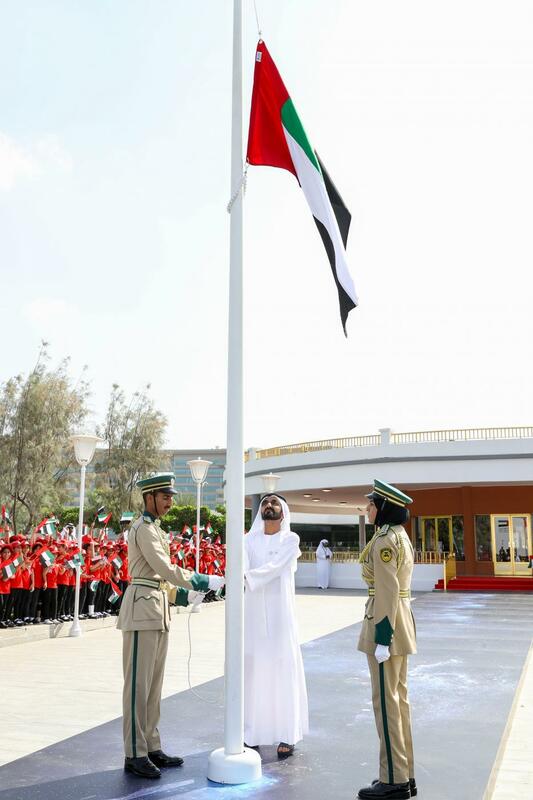 Sheikh Hamdan bin Mohammed bin Rashid Al Maktoum, Crown Prince of Dubai and Chairman of Dubai Executive Council, accompanied Sheikh Mohammed at the flag hoisting ceremony. 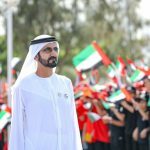 Al Fursan, the aerobatics demonstration team of the UAE Air Force, flew past the Union House, painting the sky in the colours of the UAE flag – green, white, black and red. 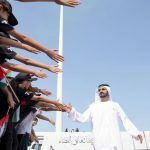 Sheikh Mohammed and his accompanying delegation visited the Etihad Museum where His Highness talked to some of the children about their ambitions. 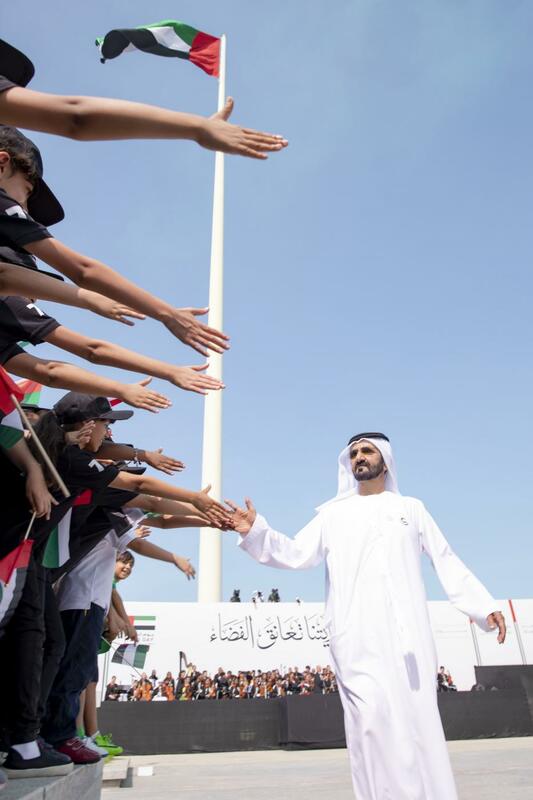 His Highness encouraged them to pursue their dreams to become the future leaders of the country. 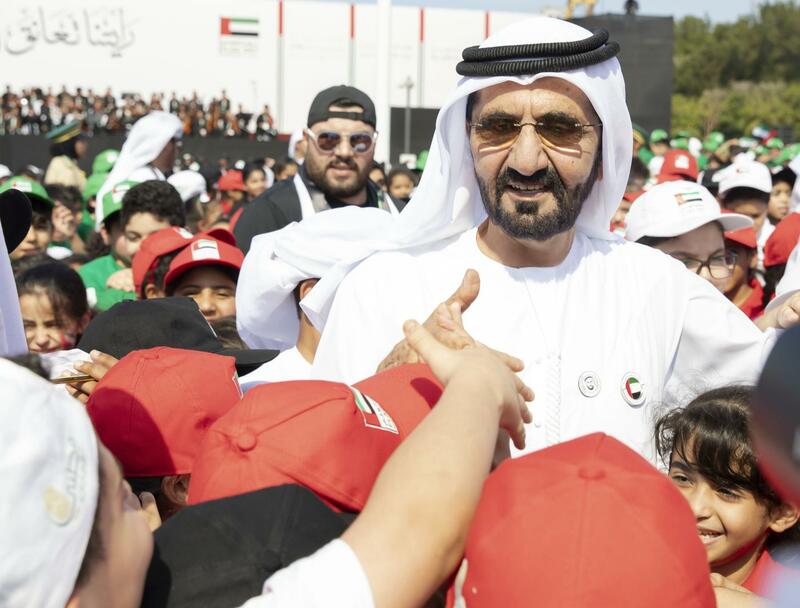 At the conclusion of the event, His Highness took photos with the Watani Al Emarat Foundation team that organised the celebration. Sheikh Mohammed had previously called on the people of the UAE and all government departments to celebrate the UAE Flag Day, which coincides with the anniversary of President His Highness Sheikh Khalifa bin Zayed Al Nahyan’s assumption of office as the leader of the country. 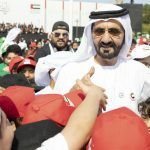 Also attending the event were Mohammad bin Abdullah Al Gergawi, Minister of Cabinet Affairs and The Future; Khalifa Saeed Suleiman, Director-General of the Department of Protocol and Hospitality in Dubai; and Dherar Belhoul Al Falasi, Director-General of the Watani Al Emarat Foundation.